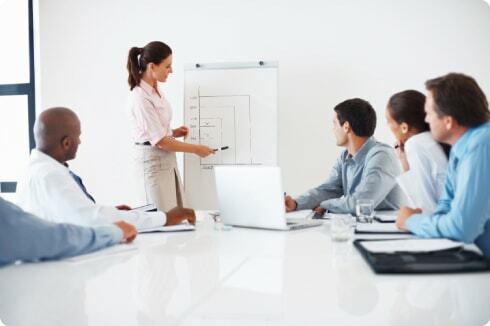 Employee Development Systems, Inc. (EDSI) provides management training materials and programs that have been tested against the needs of clients in many different industries. Unless your company is just hiring leaders from outside versus developing their own. Most companies have a strategy that combines the two options of fostering leadership from within and hiring specific skills from the outside. Either way, it is simply sound management to make sure the leaders that are brought up through the ranks are agile, competent, and can handle any challenges that are coming their way. Employees quit managers, not companies. The most common reason for employee exodus is a unskilled management. It makes practical financial sense to ensure that managers are highly competent, able to communicate to manage performance, and are personally effective. Assumed competence is dangerous. Just because Joe was a great team member, we may assume that he’ll seamlessly fit into a new leadership role. That assumption will result in failed promotions and the loss of star players. Decreasing or canceling management training programs entirely is simply a risk most companies would not take, if they thought through the chance they’re taking by throwing people into new positions without the tools they need to be successful. No matter what the unique needs of your organization may be, we can help you find and develop managerial talent capable of leading companies to greater growth and success. With over 30 years of proven success for hundreds of Fortune 500 companies, we are poised to step into action with our partners and help them implement management training programs they require, for success and increased productivity. Contact us to learn how we can help increase productivity and profits in your organization. 800-282-3374.